In the mood for cleaning out the closets, basement or garage? Here are some Pittsburgh area donation destinations for the clothing, furniture, books, computers, cell phones, cars, and other items that you no longer need, but still have a lot of life left in them. The tax deduction for donated items is always nice too. Vietnam Veterans of America resells donated household items to help meet the needs of veterans of the Vietnam War era. Their trucks cover Allegheny, Beaver, Butler, Washington, and Westmoreland counties on a weekly basis, so it's easy to schedule a pickup. They accept almost anything as long as it isn't large -- clothing, small furniture, small appliances, etc. -- and you don't have to be home when they pick up the items. Along with donations of clothing and household items, Goodwill Industries of Pittsburgh also accepts donations of computers, books, cars, trucks, boats, and motorcycles. They won't come to the house, but they do have dozens of staffed drop-off centers in many convenient locations around the greater Pittsburgh area. This non-profit organization, which helps low-income women make tailored transitions into the workforce, appreciates donations of interview-and work-appropriate women's clothing. All items should be in excellent condition (no obvious tears, stains, missing buttons or broken zippers), dry-cleaned or laundered as appropriate, and on hangers - basically, clothing that you would still wear to an interview yourself. There a three Pittsburgh area locations. Like to start projects, but never seem to have the time to finish? Donate your extra, unused fabric, yarn, patterns, kits, craft items, sewing notions and how to books to the SA Women's Auxiliary for their annual Fabric Fair, a key fundraiser for this social service organization. Clear your garage, shed or warehouse of useable building materials (lumber, windows, doors, etc.) that are just wasting space by donating them to Construction Junction, a non-profit retail store located in Point Breeze. Free pickup is available for large donations. Help conserve the environment, provide affordable building materials for low-income families and get a tax deduction at the same time. Instead of leaving your old broken down appliance at the curb to be hauled off to a landfill, why not drop it off at Appliance Warehouse on the South Side. They take old, broken or unwanted air conditioners, refrigerators, washers, dryers and other major appliances for recycling. They pick up by appointment for a fee (there's a 10 percent discount if you say "don't be a litterbug"), or you can drop it off yourself. Proceeds benefit the Pennsylvania Resources Council's campaign to clean up litter and graffiti around the city. Located in Washington, PA, this mission provides food, clothing, and shelter to the homeless and those in need of help. They gladly accept donations of clothing, small household items, and useable furniture, as well as automobiles. Children's clothing and winter coats are especially in demand. Drop your donation off at one of several Washington county locations or call the Mission to schedule a pick-up at your home. The Center accepts your "gently-used" computer system, Pentium and newer, for refurbishing and resale through its Goodwill Computers store on Pittsburgh's South Side. Usable components go into rebuilt systems; the rest goes to a salvage service as scrap. Located inside Construction Junction is a neat, non-profit recycle-a-bike shop that accepts used bikes and teaches volunteers how to recondition them and get them back on the street where they can be enjoyed. They accept any bike or bike part that isn't a pile of rusty junk. If none of the above options meet your needs, then local churches, synagogues, homeless shelters, schools, and senior centers may want your old artwork, books, CDs, videos, computers, furniture, rugs, and kitchenware. Check with neighbors, the local library or a phone book for ideas, and then make a few calls. Your neighbors in need will thank you. This nonprofit located in Mount Washington picks up most household furniture, including beds, dressers, dinette sets, couches, end tables, and lamps. They will also pick up refrigerators, stoves, washers, and dryers that are in good working order. The Salvation Army accepts small household items such as microwave ovens and dishes, as well as clothing, toys, books, and costume jewelry. The Salvation Army also accepts furniture, but only if it is not badly ripped, stained or broken, as well as vehicles (operational or not). 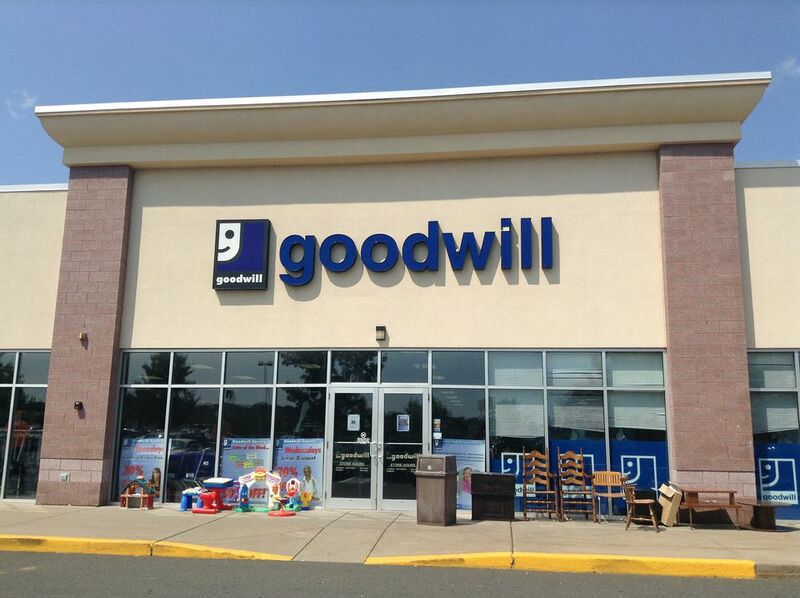 The sale of donated items helps fund the Salvation Army's Adult Rehabilitation Centers.